Dell Children’s knows that our team members are our greatest resource. That’s why we developed the Innovation Challenge at Dell Children’s: to cultivate the top-notch ideas that come from our top-notch associates. The Innovation Challenge was more than a one-time contest. Throughout the year, we hosted several innovation workshops our associates could attend. Teams collaborated together to submit ideas to the Challenge, and semi-finalists continued working with expert mentors in downtown Austin’s Innovation Zone to further hone their concepts and inventions. Finalists would be awarded cash prizes, while the Grand Prize winner’s innovation was guaranteed to be implemented the following calendar year. By keeping the spirit of innovation alive and well at our hospital, we aim to continue fostering an environment where our associates can take pride in improving both patient care and the healthcare field as a whole. Seeing clear advancements in process that directly result from their own ideas helps improve our associates’ well-being, too. 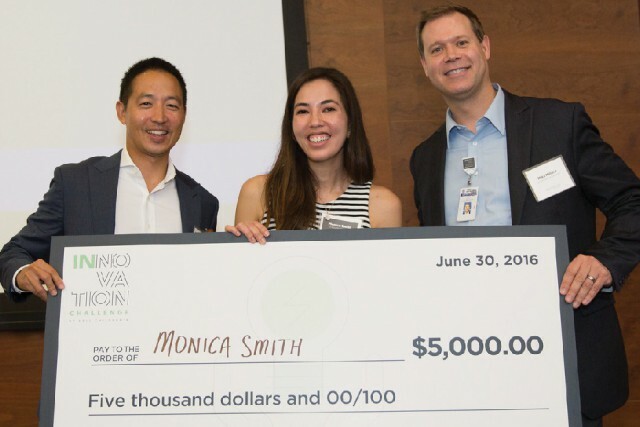 In 2016, the Grand Prize Innovation Challenge winner was Monica Smith, who suggested an idea for a point-of-use IV pole supply bin that could be used to store the universally necessary supplies required for disinfecting the clave (IV connector) to reduce central line infections. The transparent, lidded supply bin connects easily onto an existing IV pole, and can be used to hold sterile swabs or alcohol wipes in a place where nurses can immediately access them at time of use. 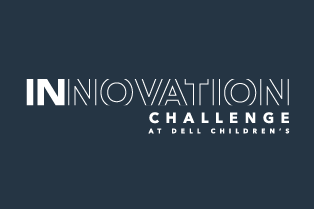 Although the Innovation Challenge relied entirely on the active involvement of the doctors, nurses and staff at Dell Children’s, all participants agreed that the real winners here were our patients. From devices that help in a diverse range of ways, from reducing infection rates to streamlining critical daily tasks, the Innovation Challenge viewed an improved patient experience as the ultimate grand prize. At Dell Children’s, we believe that great healthcare goes beyond treating patients to understanding and supporting them. The Innovation Challenge represented one more way our hospital and our associates continue aspiring toward improvement as we set a new standard for creating a culture of healthcare innovation nationwide.